Notes: Dave Poole, the Reliant Sabre and Scimitar enthusiast. 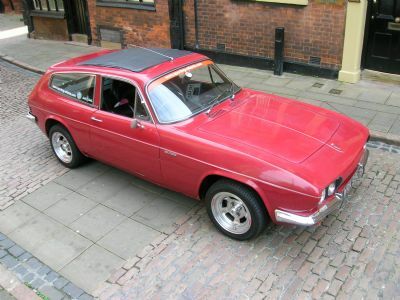 See my new website dedicated to the Reliant Sports cars including the Sabra, Sabre 4, Sabre 6, Scimitar GT, GTE, GTC, Middkebridge, SS1, SST, 1800Ti, Scimitar Sabre and more!! Modifications: Poly-bushed all around, stainless steel petrol tank, stainless steel manifolds & exhausts, K&N airfilter, AVO adjustable suspension with uprated springs, 15" x 7" Wolfrace alloy wheels.